Ran about a mile this morning then just cut out all electriics good, 12v to pump, diesel at injectors but more like a weep than a squirt when nut cracked. 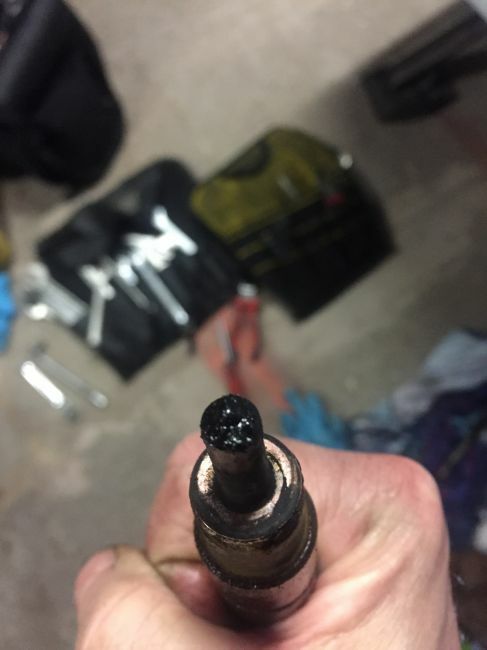 So I think a fuel problem. Recently renewed timing belt but has done aroun 100 miles since renewal. Remove the oil filler cap then crank the engine and watch to see if the rocker arms move just to rule out the belt what with that being the last thing you changed. Maybe not 100% what you're after, but I happened to watch this video last night, and there's a bit where he fits a new lift pump, and has diesel spraying out of the filter bleed screw. This might give you an idea of the sort of flow that's normal/needed. Ah I remember having those days. 9/10 it's the lift pump. I have had leaking fuel pipe joints and even a holed pick up pipe before though. 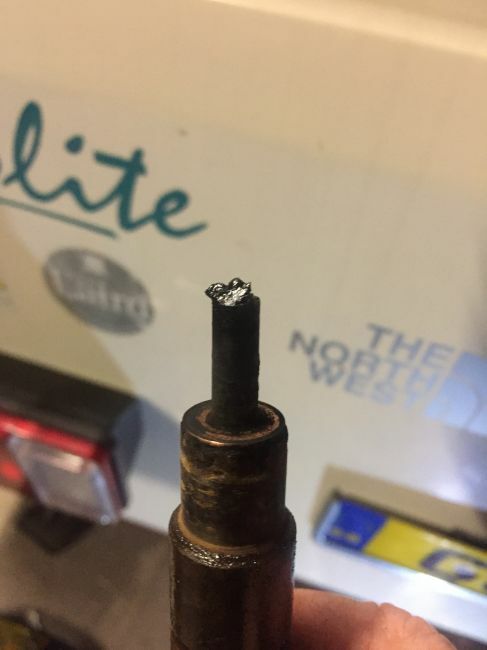 And a dodgy fuel filter connection. Can you try the old fuel can on the roof trick for diagnostic? Or a clear pipe in line to check for air? 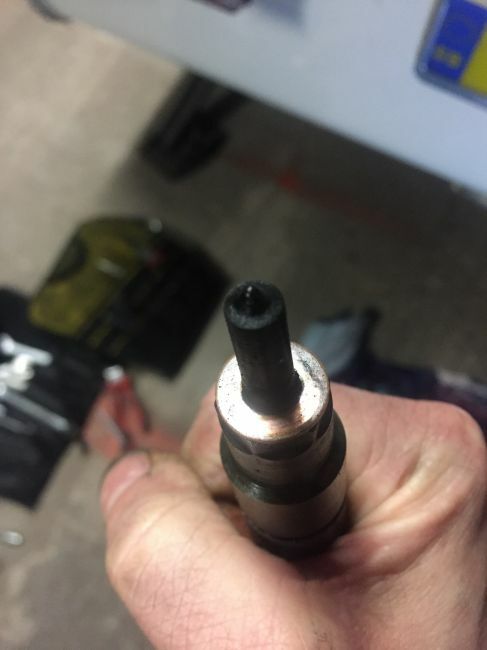 Injectors don’t look too clever? 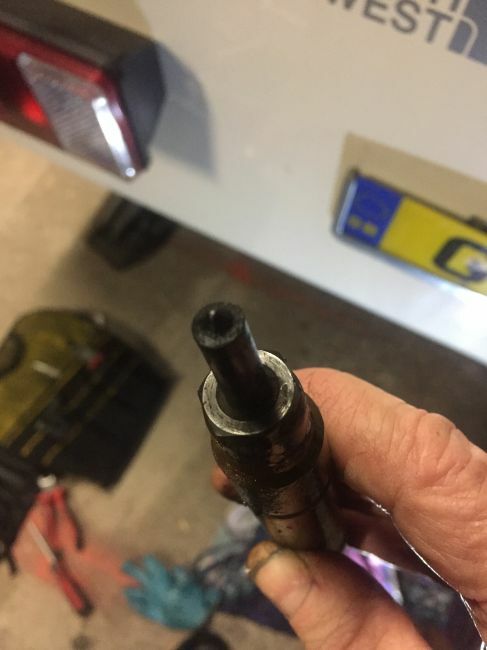 What the heck happened to those injectors? I changed the fuel filter and I inspected the old one, it was in excellent condition. I am about to check timing, removing crankcase case. I'm afraid I can't be definitive, just because I can't remember the details. I remember having poor running, or starting issues which were eventually traced to the lift pump. The symptoms weren't as bad as yours seems to be, but perhaps it was summer and the fuel was thinner/lighter? I think the 'main' pump will draw fuel through, even if the lift pump isn't working but everything else would need to be in good order. The engine will pull well enough without the lift pump as the injection pump will pull fuel through. If knackered though, you will notice the difference when you replace it.